An improvement in perceived productivity means that people feel that their work runs more smoothly and is more efficient and of a higher quality than before. For customers, this means better customer service, for example. “The results concerning the increase in perceived productivity are startling. 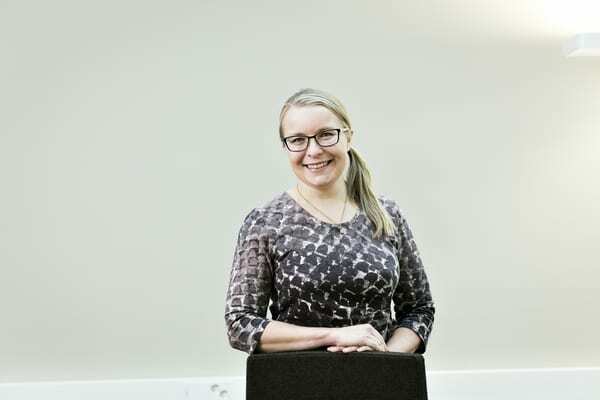 They indicate that we are headed in the right direction,” says Heljä Franssila, Specialist on Knowledge Work at Senate Properties. In conjunction with the surveys, performance was measured to study employees’ experiences of work facilities, digital tools, management practices, ways of working, well-being at work and personal productivity. produce results that were sufficient and of a high quality and that met customers’ expectations. The effects of workplace improvement projects were evaluated in state organisations in which some employees had already moved from traditional offices to an activity-based environment and some had not. The situation was measured across the organisation before and after the move. The effects were evaluated by comparing the responses of the employees who had moved to an activity-based environment with the responses of those who had not yet moved. According to Aleksi Kirjonen, Data Analyst at the State Treasury, such research designs are used to gain also a better understanding of what would have happened without the change in question. “Such a research design is relevant for impact assessment. From the material, we were able to form sufficiently identical samples and control groups, which we then compared with one another,” Kirjonen explains. 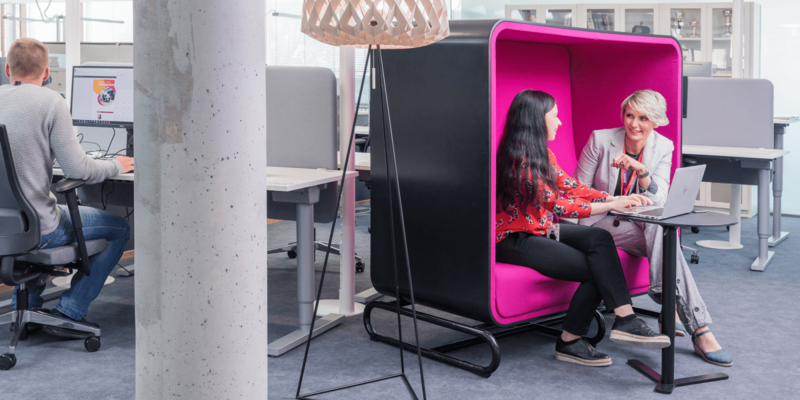 Compared with employees working in traditional offices, employees who had moved to an activity-based environment felt clearly more often that there was sufficient availability of meeting rooms, as well as facilities suitable for work that requires confidentiality or complete silence. They were also more satisfied than the control group with digital teamwork spaces and the availability of tools enabling virtual meetings. The ergonomics of workstations caused dissatisfaction. In addition, experiences of easy access to the necessary information decreased after the move to the activity-based environment. “In an activity-based environment, employees must adjust their workstation to their needs. Adapting to such a daily adjustment routine takes time. Access to information in an activity-based office relies more on the skills required to use digital systems and less on personal paper-based filing systems. Adjustment to changes in the ways of working is gradual, even in this respect”, Franssila comments. State administration will continue to seek cost savings. At the same time, the duties of state organisations are not likely to diminish. “For employees, this means that more duties must be managed by the same number of employees, if not fewer. This was one of the aspects about which our study produced interesting results. Employees who had moved to an activity-based environment felt that they were able to achieve more during their working hours with the resources allocated to them. This is a good sign,” says Franssila. However, according to Franssila, the results cannot be taken to mean that the number of employees can be reduced due to increased efficiency. Franssila is also delighted with the fact that the results alleviate Senate’s customers’ concerns related to the introduction of new facilities and ways of working: contrary to some people’s fears, these will not paralyse the organisation or interfere with the employees’ work. According to Franssila, employees’ experiences of improved performance are also a good sign in terms of stress. “Experiences of achievement protect from overburdening and facilitate well-being at work. In their analysis, Franssila and Kirjonen did not measure the benefits in euros. Franssila points out that such measurements are more challenging in state administration than business operations, as the latter are about selling goods and services. “Of course, the monetary value of the improvement in terms of perceived productivity can be estimated roughly. The better, more smartly and more efficiently most employees in state administration are able to work, the more effectively the related budget will be used – meaning less waste. In addition, improved customer satisfaction and well-being at work may also create measurable cost savings over the long term. The impact of more effective work is a topical issue, even in terms of the national economy. According to Franssila, research into performance in knowledge work continues, and more material is being collected. 1. A move to an activity-based environment is never just about facilities. Above all, it is a change that concerns the work culture and daily ways of working. In addition to improving performance, it creates benefits and presents a major opportunity for renewal. 2. To ensure a successful change and continued good performance when seeking facility cost cuts, the management and cooperation practices of the organisation must be developed genuinely. Change management must begin before the change and must continue during and after the change. 3. Concerns about an activity-based environment causing employees’ productivity to plummet are unfounded. Quite the contrary: new, modern facilities improve employees’ performance. An employee’s experiences of better performance also protect them from becoming overburdened and facilitate well-being at work. 4. Perceived high performance is connected to advanced ways of working, well-being and satisfaction. 5. An improvement in productivity improves customer experience and employees’ well-being at work, which may generate cost savings. 6. The results of the study cannot be taken to mean that the number of employees can be reduced due to increased efficiency. However, improved efficiency makes it easier to manage situations where people are retiring but new employees are not hired. Senate Properties carries out performance measurements related to knowledge work by means of personnel surveys in conjunction with workplace improvement projects in state organisations. 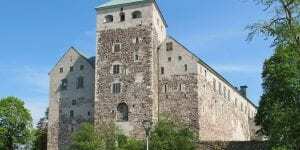 The study is being carried out in cooperation with the Novi Research Centre at Tampere University of Technology. The survey material was also analysed in cooperation with the “Support for Management by Knowledge” unit of the State Treasury.